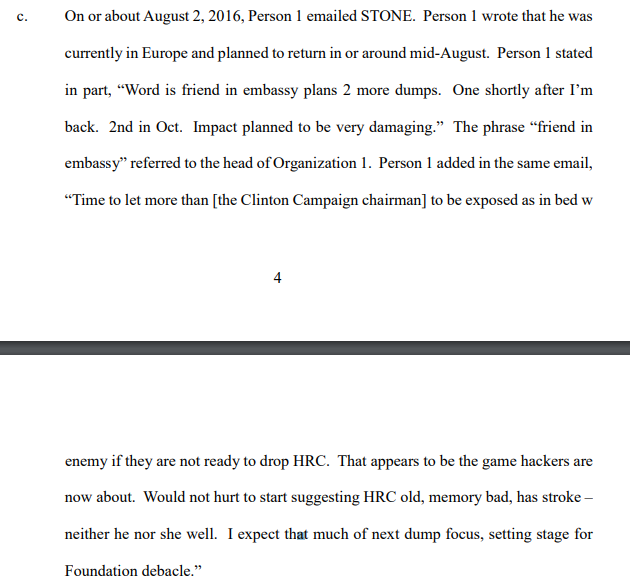 Shortly after Corsi sent that email to Stone, Trump’s allies in the right-wing fever swamps began pushing conspiracy theories regarding Clinton’s health, suggesting that she suffered from “seizures” or had “brain damage,” among other absurd claims. Hillary Clinton recently had a breakdown on TV. The media is of course covering this up rather than having an expert medical panel on to discuss her health. Yet what happened to Hillary was obviously a sign of a head injury and stroke. When a protester appears, Hillary freezes. In psychology you learn that the flight-or-fight response is a myth. A stressful situation trigger a fight, flight, or freeze response. Michael Jackson, Prince, and Elvis would travel with a personal doctor who could administer needed life-saving drugs and attention during a crisis. Remember when you thought famous people like Michael Jackson and Elvis had good medical care? What’s Clinton on? Hillary appears to travel with her own Michael Jackson/Elvis style doctor. Who is he? We saw this first “doctor” or handler during Hillary’s recent freeze-up. You can see Hillary’s handler, who at first glance would not be considered the alpha male of the group, reassure Hillary, speak to her using hypnotic language, and then move the Secret Service Agents out of the way. This handler is not an ordinary SS agent. Hillary tries playing off the seizure by acting as if she had a “brain freeze.” As my medical experts explained to me, patients who suffer seizures become experts at playing it off. SEAN HANNITY (HOST): Welcome back to Hannity. So an image of Hillary Clinton recently posted to the website The American Mirror is sparking new controversy for the Clinton campaign. Now, the picture, which shows Hillary Clinton apparently needing assistance to climb a flight of stairs at a campaign stop back in February, was picked up by The Drudge Report, which posted this headline over the weekend detailing Hillary Clinton’s history with falls and speculating that the former secretary of state could be experiencing a serious undisclosed medical condition. Joining us now with analysis, from the Fox News medical A-team we have Fox News medical correspondent Dr. Marc Siegel, and Dr. David Samadi is with us. All right. By the way, it’s in The Daily Mail, “Are Hillary Clinton’s health problems more severe than thought?” A new book is coming out that claims that. The Gateway Pundit had today, “Hillary’s handler carrying a Diazepam pen for patients who experience recurrent seizures.” When you look at her history, Dr. Siegel, of falling, concussions, the blood clots, et cetera, and then this other video that has emerged, what are your thoughts? HANNITY: Just out of fairness, I don’t want to show the video, but I’ve asked both of you to look at the video where she seems to, like — some have said it’s like a mini-seizure. What does it look like to you? SEAN HANNITY (HOST): We had our Fox medical A-team on last night and I got to tell you, they’re saying we really need to see the real records. We need to see her Wall Street speeches where she got $250 grand from all the big insurance companies, all the big banks, all the people that are buying her influence. Let’s see the speeches and let’s see the medical records. She keeps talking about Donald Trump’s tax returns; let’s talk about that. You know the one thing that one doctor friend of mine was really convinced she had a stroke. And that some of her reactions are indicative that that’s coming from the part of the brain where some damage happened. Now as I understand it, a mini-stroke or a TIA may not show up the same way on an MRI. I remember my brother-in-law, a radiologist, would literally — he was at home, and they’d send him pictures — we’d be at family dinners and he would have to go in and look at pictures, and he’d say, “See this is where the stroke took place, right here.” And I’d say, “What does it means for this person?” And with perfect pinpoint accuracy and detail, he would describe what impact it would have on that portion of the brain in terms of the people’s function. SEAN HANNITY (HOST): Should Hillary have to reveal her medical condition as well as give us maybe those Wall Street speeches and big bank speeches? And joining us now with reaction is board-certified neurologist and headache specialist Dr. Daniel Kassicieh and from the Fox News Medical A-team is Dr. Mark Seigel. Dr. Siegel, good to see you again. All right, Daniel, let me start with you. Doctor, let me ask you, what do you see in her condition and some of these images where she keeps getting flustered or the coughing fits or you hear about the blood clots. What is your interpretation? HANNITY: Is it possible she had a stroke, or do you really believe it was a head injury, traumatic brain injury? HANNITY: What about some of the weird pauses she has, the coughing fits she has? There are moments when I’m literally watching her and I’m thinking, OK, the facial expressions are odd. They seem off. SEAN HANNITY (HOST): It’s been the lead most of the day on the Drudge Report, actually fairly interesting story, I don’t think it’s going to impact the election a whole lot, but this whole comment of Julian Assange, actually raising questions about why this DNC staffer died and other things as well. So, we’ll get to all of that. Now, before we get to that — all right, so, Hillary had another mental brain fart, hiccup, whatever you want to call it today. And these seem to be happening with more and more — I don’t know, just happened more and more frequently. Listen to this one. SEAN HANNITY (HOST): What’s your take? FIONA GATA: It’s just so hard to speculate based on snippets of the clips that, you know, what is going on without having a full examination and workup. HANNITY: Look at this video right here — watch her reaction. Because it’s — I’m not — it almost seems seizure-esque to me. Is that? GATA: I mean, there are types of seizures, like focal seizures, that sometimes can cause just one body part, but it would be very rare. I mean, typically seizures will generalize, so I can’t say that’s a seizure. It could be distress. HANNITY: Are there many seizures like that, Dr. Siegel? HANNITY: Let’s rerack that. What do you think this is? HANNITY: This looks like violent, out-of-control movements on her part. SEAN HANNITY (HOST): So, all of these questions are now coming up about Hillary Clinton, what happened when she was having these blood clots, the many times she’s falling. She seemed to go into, like, a mini-seizure the other day, when answering a reporter’s question. We showed you the video last night — it’s very bizarre. And the fact that she continues to have these coughing fits, now … and it goes on forever. These are not just like — “OK, I need a second, let me get my breath.” This goes on forever. So, the question is — OK, what’s wrong with her? What — what actually happened? Was there a neurological event of some kind? What is causing all of this? Do the American people have a right to know her health issues before she were ever to be elected president of the United States? What do you think of the issues involving the falls, the blood clot, the many instances where she’s — appears to be propped up by other people? SEAN HANNITY (HOST): Dr. Carson, I’ll show you the different examples. She’s falling, you’ve got this sort of twitching thing that she does in front of reporters that was really bad. There’s been a number of incidents and reports that she fell, and then she had this really long incident where she was out of commission for quite a while, recovering, her husband said. She’s on anticoagulants. Number one, do we have a right to know? And, number two, what do you make of this twitching thing that she keeps doing? I’ll run it again. HANNITY: Why are you laughing? You’re the brain surgeon here. I’m just a humble little host. CARSON: It just looks funny. You know, certainly as a person gets older, you know, the number of medical conditions that we have to watch for increases, which is one of the reasons that we strongly suggest, as you get older, that you have at least a annual examination. If you’re going into a very important position like this, it’s critical. HANNITY: Let me go back to this video, Dr. Siegel, that’s on the screen now. We’ll put it up again. I mean, it’s a violent, violent, repetitive jerking of the head here. Now, you know — you can see it’s uncontrollable, watch the reporter, like, pull back as she — the reporter got scared, and she keeps doing it. What is that? HANNITY: Is that video we’re showing a seizure, maybe? HANNITY: Watch it right here. Let’s just — watch it closely here, watch the reporter back, right there — the — you see the — look, and it goes on and on and on. That is, to me, bizarre. SAMADI: There is certainly some neurologic issue going on, depending on when this tape was taken.